Maybelle Kazinzki can’t sew. She was after all, the only girl in the seventh grade Home Economics class to sew the zipper in the neck hole of the A-Line dress they were supposed to make. But when she finds an unfinished quilt in the attic of her mother’s house she gets the crazy idea to finish it—somehow, come heck or high water. She thinks it will help fill the lonely nights while her husband, Holden, is serving overseas during World War II. Her recently departed mother’s quilt is made from scraps of material Maybelle traces back to her mother’s childhood, her grandmother’s childhood and her own childhood. She tries to add one of Holden’s stripes to it but the sewing is not going well and neither is her life. After receiving some harsh news, Maybelle’s faith falters and she puts the quilt away and stops trusting God. But God is faithful- no matter what. And it’ll take a group of neighborhood women armed with quilting needles to help Maybelle believe that. This book reminded me exactly of what I could picture Rosie the Riveter as being! Maybelle enjoyed welding, she was good at it, and she long time has been a tom boy. Trying to get her to learn to sew is a much harder task than learning to weld. I know how to sew fairly well myself and have tried to teach others with 2 left thumbs and it can be quite comical, just like this sewing club ends up being. Maybelle has fortitude and hangs in there however, with her friend Doris Godly influence. Doris has been a lifelong friend and is a half full type of gal. Her husband is in the war as well, yet she chooses to lay it at the feet of Jesus to handle her worry. Her influence definitely helps Maybelle to do the same. The characters are doing their best to make the most of a very difficult situation. I respect their drive to keep on working and helping, though often their emotions want them to do something different. Excellent book about the bonds of friendship and the depth of relationship in trying times. 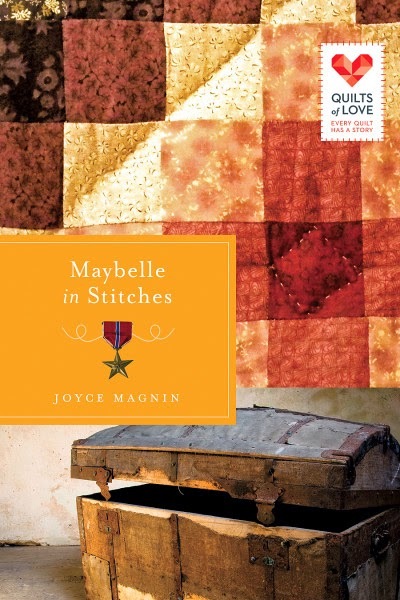 Joyce Magnin is the author of the Bright’s Pond novels, including the award-winning The Prayers of Agnes Sparrow. 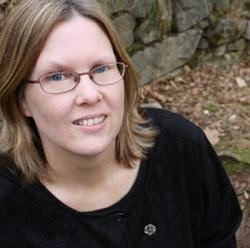 A member of the Greater Philadelphia Christian Writers Fellowship, Joyce is a frequent workshop leader and the organizer of the StoryCrafters fiction group. She lives near Philadelphia, Pennsylvania.